Brockton, Mass. – Dylan Vaglica could not have picked a better time for his top performance of the season. On Monday afternoon, Vaglica threw a complete game shutout allowing just four singles and throwing a mere 80 pitches as Xaverian defeated No. 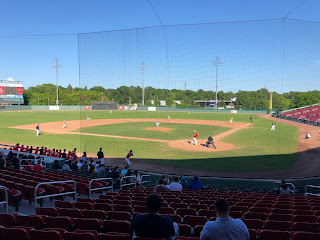 2 Brockton, 2-0, to advance to the Division 1 South Sectional Semifinals at Campanelli Stadium. Vaglica displayed a three-pitch combination, primarily relying on his fastball and curveball while also mixing in the occasional changeup. Vaglica used the Boxers’ willingness to swing away at the first pitch heavily to his advantage. Consistently keeping the ball below the belt, Vaglica induced weak contact throughout his outing. 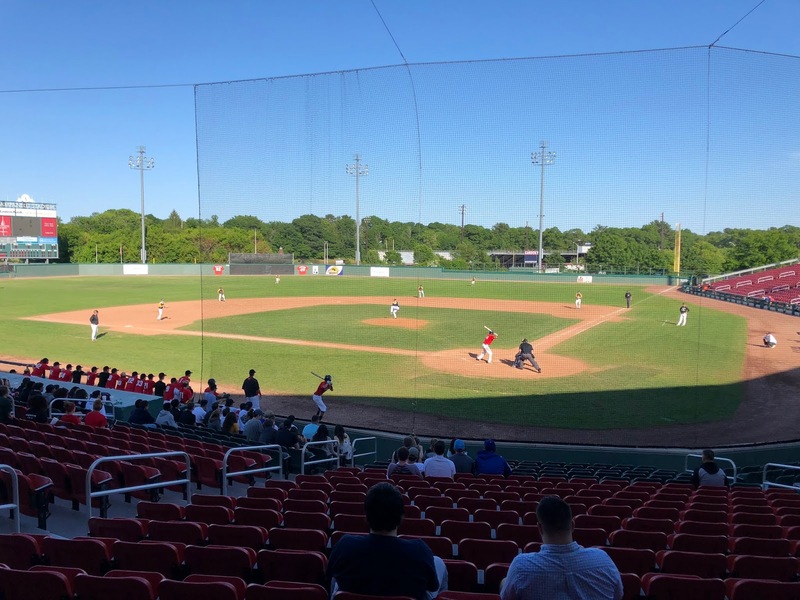 When Brockton was able to time up the right-hander, the Hawks’ middle infield of Jake Cassidy and Kyle Sylvester was there for a highlight-reel defensive play. Xaverian (14-8) struck first in the top of the second. Kyle Sylvester singled, moved over to second on a Charlie Bean sacrifice bunt, and Sean Birch lined an RBI double to left to make it 1-0 Hawks. Opposing Vaglica, Brockton (17-5) right-hander Zach Sylvia had an impressive day of his own. Sylvia surrendered one run through the first six innings, scattering four hits and handing out just one free pass. Vaglica, however, proved more than up to the task. He allowed a pair of Boxers to reach in the second as Tyler Wood walked and Peyton Silvia singled, but got out of trouble by inducing a ground ball to shortstop. Two innings later, the Boxers knocked on the door with Trey Ciulla-Hall and Sam Hendrigan each reaching on base hits. Vaglica evaded trouble once again, however, getting a ground ball to shortstop and a fly out to retire the side. In the top of the seventh the Hawks got insurance for their starter. Jack Whorf doubled, was sacrificed to third, and scored on an RBI fielder’s choice off the bat of Charlie Bean to put Xaverian on top 2-0. Over the final three innings, Vaglica was at his best throwing just 21 pitches to record the final nine outs.